In this case the email gets removed from the Shared Mailbox of all the users and goes into Trash folder of the person who deletes it. 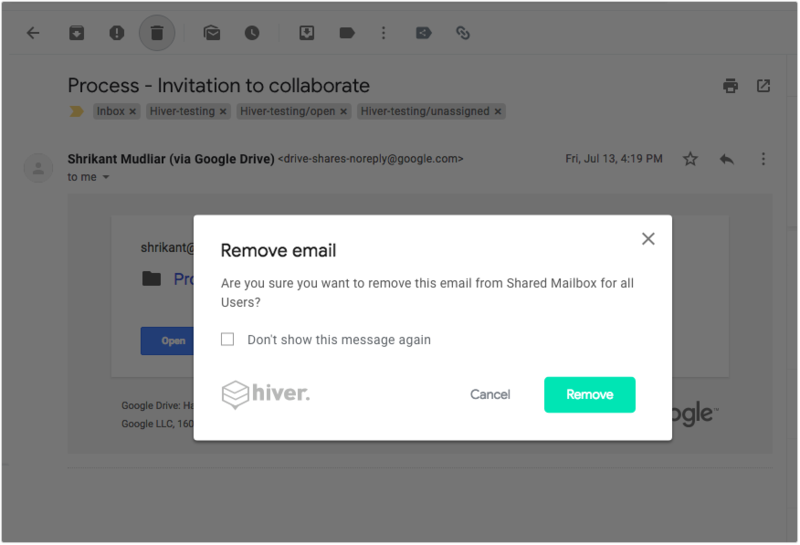 Open email and click on the 3 dots on the top right of the Hiver widget, to find the option 'Remove email from Shared Mailbox'. In this case, the email will be moved to the 'All Mail' folder for all users.